Israel en de Palestijnse gebieden scoren niet geweldig qua persvrijheid. Israel is in de laatste jaren afgezakt naar een middenpositie op de wereldranglijst van Reporters zonder Grenzen. In Israel geldt een militaire censuur op veiligheidsgebied, waardoor gevoelige kwesties niet altijd naar buiten gebracht kunnen worden. Desondanks is er een uitgebreide en onafhankelijke vrije pers, die kritiek op de regering en alle sectoren van de samenleving niet schuwt. Op de behandeling door Israel van Palestijnse en buitenlandse journalisten is wel geregeld kritiek. Bij conflicten zoals de Gaza Oorlog krijgen ze geen toegang, en meermaals zijn journalisten in dergelijke omstandigheden door geweervuur omgekomen. Ook zijn enkele Palestijnse journalisten in administratieve detentie beland nadat ze bij gewelddadige acties aanwezig waren of op beschuldiging van banden met terroristen, en waren er incidenten als bij de prijswinnende journalist uit Gaza die bij de grenscontrole getreiterd en zelfs gemarteld zou zijn, en invallen in radiostations op de Westoever, waaronder een Israelisch-Palestijns station dat vanuit Ramallah uitzond. Van de eigen Palestijnse autoriteiten hebben journalisten echter nog meer te duchten, en niet alleen van Hamas in Gaza: kritiek op de Palestijnse Autoriteit, zoals het melden van corruptieschandalen, wordt niet gewaardeerd, en samenwerking met Israelische journalisten is niet toegestaan. De journalistenvakbond die het voor hen zou moeten opnemen is een marionet van de PA.
Where Are the Media and So-Called Human Rights Groups? In recent weeks, Palestinian Authority security forces arrested at least nine journalists and bloggers in the West Bank for exposing corruption. The Palestinian Authority and its media group clearly do not want the outside world to receive information about the situation in the Palestinian territories. As journalists worldwide celebrated World Free Press Day on May 3, the Palestinian Journalists Syndicate in the West Bank chose to wage a campaign of intimidation against Palestinian reporters who commit the "crime" of meeting with Israeli counterparts. The decision to punish Palestinian journalists who hold meetings with Israeli colleagues began after a series of joint seminars that were held in Norway, Germany and France. At these seminars, Israeli and Palestinian journalists discussed joint cooperation and ways of promoting freedom of expression. The syndicate, dominated by Fatah and affiliated with the Palestinian Authority leadership in Ramallah, threatened sanctions against any Palestinian journalist who engages in "normalization" with Israel. The Palestinian Journalists Syndicate functions more as a political body than a union that is supposed to defend the rights of its members. The syndicate wants Palestinian journalists to serve as soldiers on behalf of the Palestinian cause. Journalists, according to the syndicate, should first and foremost be loyal to their president, prime minister, government, homeland and cause. As for the truth, it appears at the bottom of the syndicate's list of priorities. The syndicate's main task should be to defend freedom of media in the Palestinian territories. But instead of fighting for the rights of Palestinian journalists, who are facing a campaign of intimidation under the two Palestinian governments in the West Bank and Gaza Strip, the syndicate has also decided to join the clampdown on freedom of expression. A syndicate that reports directly to the office of the president in Ramallah can never serve the interests of Palestinian journalists. Cooperation between Israeli and Palestinian journalists has never been a new or unique phenomenon. Long before the establishment of the Palestinian Authority in 1994, representatives of the two sides maintained close ties, often exchanging information and helping each other cover stories both inside Israel and the West Bank and Gaza Strip. But the Palestinian Authority's syndicate is now trying to put an end to this cooperation under the pretext of combating normalization with Israel. Sanctions include expulsion from the syndicate and a boycott by Palestinian newspapers and other media outlets belonging to the Palestinian Authority. If anyone stands to lose from the ban on holding contacts with Israeli media representatives, it is the Palestinian journalists themselves. Over the past few decades, Palestinian journalists have helped Israeli newspapers and TV stations cover the story on the Palestinian side. Thanks to this cooperation, the Israeli public learned a lot about what was happening in the West Bank and Gaza Strip. In recent weeks, Palestinian Authority security forces in the West Bank arrested at least nine Palestinian journalists and bloggers for exposing corruption scandals and posting comments critical of Palestinian leaders on Facebook. The affected journalists complained that the syndicate did not make a serious effort on their behalf, limiting its response to issuing laconic statements demanding the release of some of the detainees. The Palestinian Authority and its media group clearly do not want the Israeli public and the outside world to receive information about the situation in the Palestinian territories. This is why they are now waging the new campaign of intimidation against journalists who are found guilty of meeting with Israeli counterparts. Nog steeds wordt beweerd dat Iran Israel niet wil vernietigen, dat dat een keer is gezegd en toen verkeerd vertaald is. In werkelijkheid is het vele malen en in vele varianten en bewoordingen gezegd, door verschillende Iraanse leiders. And defeat the US, too. Israel has, for years, cautioned against Iran's intentions and the dangers of its nuclear ambitions, but on Wednesday former Spanish Prime Minister Jose Maria Aznar gave the world yet another reason to heed those warnings. Aznar, speaking to a crowd in Jerusalem, recalled a meeting with Iran's Supreme Leader Ayatollah Ali Khamenei in which he expressed his intention to destroy Israel. "In a private discussion we held in Tehran in October of 2000, Ali Khamenei told me that Israel must be burned to the ground and made to disappear from the face of the Earth," Aznar told the audience. The former Spanish prime minister went on to say that Iran's spiritual leader also said that "Iran's war against the United States and Israel is inevitable." Aznar was in Israel as a guest of the Jerusalem Center for Public Affairs, currently headed by former Israeli ambassador to the United Nations Dr. Dore Gold. Gold asked him, "When Khamenei was talking about wiping Israel off the map, was he referring to a gradual historical process involving the collapse of the Zionist state, or rather its physical-military termination?" Aznar answered, "He meant physical termination through military force." The former Spanish leader also told the crowd that Khamenei described Israel as "an historical cancer, an anomaly," and said that he was "working toward Iran defeating the United States and Israel in an inevitable war against them." This is only surprising to Juan Cole's acolytes, who won't believe it anyway. How much more explicit can they get? Chief of Staff of the Iranian Armed Forces Major General Hassan Firouzabadi said threats and pressures cannot deter Iran from its revolutionary causes and ideals, and stressed that the Iranian nation will remain committed to the full annihilation of the Zionist regime of Israel to the end. Addressing a defense gathering here in Tehran on Sunday, General Firouzabadi said that nations should realize the threats and dangers posed by the Zionist regime of Israel. He reiterated the Iranian nation and Supreme Leader's emphasis on the necessity of support for the oppressed Palestinian nation and its causes, and noted, "The Iranian nation is standing for its cause that is the full annihilation of Israel." The top military official reminded that the Iranian Supreme Leader considers defending Palestine as a full religious duty and believes that any kind of governance and rule by anyone other than the Palestinians as an instance of usurpation. Earlier this year, Supreme Leader of Islamic Revolution Ayatollah Seyed Ali Khamenei stressed in explicit remarks Iran's direct involvement in the Palestinian and Lebanese confrontation with Israel, including the Lebanese Summer 2006 33-day resistance against the Zionist regime. "Wherever Iran interferes, it announces it in a very straightforward manner. For instance, we interfered in confrontations against Israel, which resulted in the (Lebanese) victory in the 33-day war and (Palestinians' victory in) the 22-day (Gaza) war," Ayatollah Khamenei said, addressing millions of Friday Prayers worshippers on Tehran University Campus in February. "In future too, we will support and help everyone who opposes the Zionist regime," the Leader underscored. "The Zionist regime is a real cancerous tumor that should be cut and will be cut, God Willing," Ayatollah Khamenei underscored. Time for Iran's Western apologists to work overtime to parse these words as if they aren't aggressive or threatening. Lijkt me een goede zaak, en een goede (alternatieve) manier om terrorisme aan te pakken. Director of Shurat HaDin Nitsana Darshan- Leitner recognized with Moskowitz Prize for Zionism for taking Israel’s fight to the courtrooms. Though Israelis are aware of the role the IDF and the security services play in the fight against terrorism, one Tel Aviv attorney wants to show how lawyers, too, can help secure the Jewish state. Attorney Nitsana Darshan- Leitner, director of civil rights nonprofit organization Shurat HaDin (The Israel Law Center), will receive the Moskowitz Prize for Zionism, awarded annually to three Israelis deemed to best personify modern Zionism in Israel, for her work in taking Israel’s fight against terrorism to the courtroom. Emergency medicine innovator Dr. Yitzhak Glick and Zvi Slonim, founder and leader of the Gush Emunim movement, will also receive the Moskowitz Prize. The prizes will be awarded on Tuesday evening in a ceremony in the City of David. Since Darshan-Leitner established Shurat HaDin in 2003, it has won more than $1 billion in judgments against terrorist groups and those who fund them – including state sponsors of terror Iran, Syria and North Korea. The nonprofit has also pioneered the previously unheard of concept of suing terrorist organizations in civil court. When initial success in the courtroom opened the floodgates for requests from dozens of victims seeking to make their voices heard in court, Darshan-Leitner said she decided to set up a nonprofit group and make bankrupting terror a full-time career. In its civil suits in the US, Shurat HaDin makes use of strict US anti-terror legislation, which allows American victims and their families to file civil suits against foreign state terror sponsors and terrorist organizations, including regarding attacks that did not take place on US soil. Yet over and above helping victims, Shurat HaDin’s lawsuits have exposed the extent to which Iran supports Palestinian terrorism, and how it and other state sponsors of terror assist and enable their terrorist proxies, including Hamas, Islamic Jihad and Hezbollah, to carry out attacks against Israel. Evidence presented in Shurat HaDin’s most recent victory, known as Wultz v. Iran and Syria, showed how those two regimes gave Islamic Jihad substantial logistical, financial and technical support to conduct a deadly suicide bombing at the Rosh Ha’ir shwarma restaurant in Tel Aviv. Last week, the US District Court judge ruling on the case awarded $332 million in damages from Iran and Syria to the family of 16-year-old Daniel Wultz of Weston, Florida, who died from horrific injuries in that attack along with 10 others. Seventy civilians were wounded. Another lawsuit, Kaplan v.Hezbollah, is pending in the US District Court in Washington, DC, and has done much to expose North Korea’s close relationship with Iran’s Revolutionary Guards and how Pyongyang has helped Hezbollah create extensive underground military bunkers in south Lebanon. Plaintiffs in that case are 30 American Israelis wounded by Hezbollah rockets during the 2006 Second Lebanon War. Expert testimony showed how, before the war, North Korea sent missile components to Iran, where they were assembled and then shipped to Hezbollah’s leaders in southern Lebanon, specifically for use against Israeli civilian targets. Kim Jung-il’s regime also helped the Lebanese terrorist group build an extensive network of underground military installations, bunkers, tunnels and storage facilities in south Lebanon, under the auspices of a front company, the Korea Mining Development Corporation, and gave Hezbollah leaders weapons and intelligence training to improve attacks against Israel. Significantly, Kaplan v. Hezbollah names 10 “John Does” – anonymous North Korean agents who Shurat HaDin argues helped Hezbollah in its fight against Israel. Even after the Second Lebanon War, North Korea has continued to supply Hezbollah with weapons via Tehran, including M-600 rockets that would allow the group to strike targets in central Israel, testimony showed. Shurat HaDin previously sued North Korea for $378m. in US federal court in Puerto Rico for its involvement in the 1972 Lod Airport massacre, in which three members of the Japanese Red Army killed 26 people and wounded some 80 others. Shurat HaDin’s lawsuits have also exposed the terror-funding fronts used by organizations such as Hezbollah, Islamic Jihad and Hamas, and revealed how these groups move illicit monies through international financial institutions. Darshan-Leitner notes the organization has filed suits against several international banking institutions, who have allegedly provided services to terrorist groups. “We can hurt terror groups and stop terror by preventing the flow of money reaching them,” she said. In one lawsuit, Ammanbased Arab Bank is accused of aiding and abetting terrorism by providing banking services for organizations that paid suicide bombers’ families, including the Saudi Committee, which allegedly raised more than $100m. for Palestinian terrorist groups. The Beirut-based Lebanese- Canadian Bank allegedly held money for Hezbollah. However, Shurat HaDin has not only targeted Middle Eastern banks. Darshan-Leitner said the organization has also filed cases against Swiss global financial services company UBS, which allegedly deliberately concealed transfers of hundreds of millions of dollars to Iran between 1996 and 2004. When US federal investigators asked UBS why it failed to report its dollar transfers to Iran, the Swiss bank said the transactions were an “innocent mistake,” according to the lawsuit. However, in the lawsuit, filed in the New York District Court on behalf of 43 people wounded in a series of terrorist attacks by Hamas, Hezbollah and Islamic Jihad, Shurat HaDin alleges that UBS facilitated the attacks by its dollar transfers to the terrorists groups’ sponsor, Iran. A further lawsuit against Bank of China alleges that the bank aided and abetted Hamas and Islamic Jihad by providing them with dozens of wire transfers totaling several million dollars via a bank account in China. The lawsuit, which names 84 plaintiffs including victims of Islamic Jihad and Hamas bombings and rocket attacks, contends Bank of China facilitated the terrorist attacks. Allegedly, in 2006 and 2007, Hamas operatives received money in the account from Hamas’s headquarters in Syria and then transferred it to Gaza. Most of the transfers, allegedly initiated by the two organizations’ leaderships including in Iran and Syria, were made to a single account in Guangzhou, China, belonging to Said al-Shurafa, who the plaintiffs claim is a senior operative and agent of both Hamas and Islamic Jihad. Though Bank of China moved to have the lawsuit dismissed, in July the New York Supreme Court handed down what Darshan-Leitner said was a “monumental” ruling, holding that the case can go ahead in US court. As a result of these and other lawsuits, Darshan-Leitner said international banks have closed accounts with alleged terror links and become more careful about vetting clients. However, Darshan-Leitner said, getting a court judgement against terrorist groups and their state sponsors is not the final stage in the legal battle against them. “When we get a judgement [for damages], we have to move to enforce it,” she said. In the lawsuits against Iran, enforcing judgments has meant searching creative ways to attach Iranian funds in the US and asking courts to allow them to be used to pay courtawarded damages. To collect $423.5m. in damages awarded from Iran to victims of a 1997 Hamas suicide bombing attack in Jerusalem’s Ben-Yehuda pedestrian mall, lawyers targeted a house purchased by the late shah of Iran for his son in Lubbock, Texas. Another possible source of Iranian funds, Darshan-Leitner said, is a collection of 2,500- year-old clay tablets from Persepolis in Iran. Though the tablets are held by the University of Chicago, the Islamic Republic claims ownership of them. Though Iran has never answered a single lawsuit filed against it, the Islamic Republic did take notice of the request to sell the Persepolis Tablets to pay the suicide bombing victims, calling the move “indecent” and appointing a US lawyer. Darshan-Leitner dubbed the lawsuits “fighting back” against terrorism, but added that Shurat HaDin also battles against anyone who seeks to harm Israel and Israelis. “We’re also fighting back against campaigns of US campus anti-Semitism, we’re fighting back against BDS [Boycott, divestment and sanctions] campaigns, we’re fighting back against the flotillas,” she said, referring to legal warnings the organization sent to leading maritime insurance companies last summer, causing them to cancel their insurance of protest ships headed for the Gaza Strip. “Really, we’re fighting back against the delegitimization of Israel,” she concluded. Darshan-Leitner said she was “delighted” to receive the Moskowitz Prize for Zionism, which aims to honor those who put Zionism into action in Israeli society but who do not always receive public recognition. “Receiving the prize will help boost the idea that private citizens can also make a difference in Israel’s fight against terror,” Darshan-Leitner said. Kahalani praised Darshan- Leitner’s “tenacity and professionalism,” which he said had achieved results. De anti-boycot petitie op de website van Avaaz bleek niet in de smaak te vallen bij het leiderschap en is daar gewist. De petitie is nu door de initiatiefnemer op een andere website geplaatst. Many of you will have signed my petition on Avaaz.org.Sadly today Avaaz showed it true colours and removed the petition as it felt it was against their "Community Standards". Avaaz's behaviour has been anti democratic and biased but we the friends of Israel in Ireland and worldwide must stand together and urge Minister Gilmore and the Irish Government to not seek a EU ban on Israeli goods made in the settlements. On the 15th May 2012 Eamon Gilmore the Irish Minister for Foreign Affairs suggested he may seek a EU wide ban of Israeli settlement goods. Israeli settlements are in Area C, Area C of the West Bank under the Oslo Accord was assigned to Israel.Area A and B was given to the Palestinian Authority to control. Singling out Israel will not secure a lasting peace. Israel bashers noemen dit medic washing (naar: pinkwashing voor het feit dat de homorechten in Israel zoveel beter zijn dan in de omliggende landen), oftewel een pr stunt om de aandacht af te leiden van de misdaden van de bezetting etc. In werkelijkheid blijkt daaruit niet alleen hoe vol haat deze mensen zelf zitten (zo de waard is vertrouwt hij zijn gasten) maar het is ook onzin omdat dit soort berichten toch nooit in de media komen. Ze belanden alleen op pro-Israelische en Joodse sites en daar weet men al dat Israel niet enkel bestaat uit bloeddorstige fanatici. Wanneer het Israel werkelijk alleen om haar imago was te doen zou men beter journalisten in de dop in het buitenland kunnen werven of net als Saudi-Arabië allerlei studies kunnen financieren en deskundigen uitzenden die daar les komen geven. Natuurlijk geeft Israel net als ieder land geld uit om zichzelf te presenteren. Maar Israel biedt ook veel humanitaire hulp, ook aan Palestijnen, vanuit waarden als 'tikkun olam' het goed willen doen in de wereld zoals wij onze naastenliefde kennen. De Israëlische burgerlijke administratie heeft het transport georganiseerd voor een Palestijnse jongen die aan nierinsufficiëntie lijdt en aangewezen was op een transplantatie. Yehia, een kleine jongen uit Bethlehem kreeg een niertransplantatie in het Brighamziekenuis in Boston. Voordien werd het kind behandeld in het Shaare Zedekhospitaal te Jeruzalem waar hij regelmatig dialyses onderging. Uiteindelijk besloten de Israëlische geneesheren dat een transplantatie noodzakelijk was om sterfterisico uit te sluiten. In eerste instantie zou de vader een nier afstaan maar de chirurgen van het medisch kindercentrum Schneider in Petach Tikva, waar de ingreep zou doorgaan ontdekten dat de nier niet compatibel was. Dalia Bassa, medisch coördinatrice van de Burgerlijke administratie contacteerde daarop het Brighamhospitaal in Boston dat een grote expertise heeft inzake nierziektes. Zij organiseerde het verblijf van Yehia in de Verenigde Staten. Op 13 januari is de jongen naar Boston overgebracht waar hij vier maanden in het ziekenhuis verbleef. Op 24 april kon hij eindelijk terug naar zijn thuis in Betlehem. Hij wordt verder opgevolgd door het Shaare Zedek hospitaal van Jeruzalem. De Burgerlijke Administratie heeft de familie ook een koelkast geschonken zodat de noodzakelijke medicatie op de juiste temperatuur kan bewaard worden. Abeer Baker, advocate van de Palestijnse hongerstakers, over het akkoord met Israël. Op vrijdag 18 mei is er naar aanleiding van het akkoord tussen Israël en de Palestijnse hongerstakers in de Trouwkrant een artikel verschenen waarin Laurens Samsom vragen stelde aan mensenrechtenadvocate Abeer Baker, die tientallen Palestijnse gevangenen in hongerstaking juridisch heeft bijgestaan. Het interview zelf ging vrijwel alleen over de positie van deze Palestijnse gedetineerden waarvan Baker hoopt dat ze het zullen redden na jaren van eenzame opsluiting. Er werd echter volledig voorbijgegaan aan de redenen van hechtenis. Alsof Israël lukraak mensen gevangen zou zetten. Het is opvallend dat er in een apart stukje van het artikel informatie is te lezen over de in Israël geboren en getogen Arabische Abeer Baker zelf, waarin ook wordt gemeld dat haar Palestijnse familie tijdens de stichting van de staat Israël werd verjaagd. Daar moeten we het dan mee doen, want er wordt verder geen letter besteed aan hoe het allemaal werkelijk ging tijdens de onafhankelijkheidsoorlog van Israël, waarbij de Israëli's na de stemming van de VN meteen door Arabische legers werden aangevallen en Arabische leiders de bevolking opriepen te vluchten. In 2011 verscheen onder haar eindredactie het boek:` Dreiging: Palestijnse politieke gevangen in Israël', waarin Palestijnse gevangen uitgebreid aan het woord komen. De titel van dit boek sluit overigens goed aan op de strekking van het vraaggesprek. Baker wilde daarin namelijk duidelijk maken dat de hongerstaking een goed politiek middel bleek om Israël onder druk te kunnen zetten. Gelet op de inhoud van het interview zou het correct zijn geweest om ook een apart stukje van het artikel te besteden aan informatie of toelichting over de Israëlische redenen voor het gevangenzetten in isoleercellen of in administratieve hechtenis vast te houden. Maar bij Trouw vindt men het kennelijk correct om alleen de Palestijnse kant te belichten, waardoor ook dit artikel weer eens een erg eenzijdig epistel is geworden. De indruk die werd gewekt was dat de Palestijnse hongerstakers onder vaak erbarmelijke omstandigheden met vreedzame middelen een goed akkoord met Israël hadden gesloten. Maar de gedetineerden zelf zijn lang niet zo vreedzaam als Baker beweert en de Israëlische gevangenissen voldoen aan de internationale minimum eisen. Dat kan beslist niet worden gezegd van gevangenissen in buurlanden van Israël zoals bijvoorbeeld Syrië en Saoedi Arabië waar gevangenen worden gemarteld. Uit de antwoorden die Baker geeft op de vragen blijkt inderdaad dat zij enkel en alleen oog heeft voor haar cliënten. Ze somt aan de hand van een anoniem voorbeeld op hoe slecht het met een in eenzame hechtenis zittende man is. Het is voor Baker wellicht haar plicht om namen achterwege te laten, maar haar cliënt is zeker niet onschuldig. De reden van eenzame opsluiting is vooral omdat er vanuit Israëlische gevangenissen terreurdaden of aanslagen werden voorbereid. Bovendien zijn bijna alle 1600 Palestijnse hongerstakers na een proces veroordeeld voor terroristische activiteiten. En van die 1600 was er maar een klein deel wat in administratieve hechtenis werd gehouden, namelijk ruim 300 mensen. Uit het interview blijkt dat niet. Baker zegt dat ze niet weet waarom mensen in administratieve hechtenis vastzitten. Dit is niet juist. In zo'n geval worden mensen gevangen genomen die ervan verdacht worden een veiligheidsrisico te zijn, wat ze wel te horen krijgen. Baker geeft toe dat Israël de eisen van de Palestijnse hongerstakers deels heeft ingewilligd. Ze ziet dit als een politieke overwinnig en noemt als voorbeeld hoe het met Khader Adnan was gegaan die al eerder was vrijgekomen. Maar ze zwijgt over het feit dat Adnan mensen opriep tot het plegen van zelfmoordaanslagen op onschuldige Israëli's. Onder de gevangenen zijn er ook mensen met een belangrijke politieke status. Hierbij noemt Baker wel namen; Marwan Bargoeti en Ahmed Saadat, die om hun belangrijke positie door hun medegevangenen vaak worden geconsulteerd. Dat moge dan zo zijn, maar Baker zegt weer niets over de reden van hun hechtenis. Ahmed Saadat werd uiteindelijk door Israël veroordeeld omdat hij de hoofddader is achter de moord in 2001 op de Israëlische minister van Toerisme, Rehavam Ze'evi en om zijn lidmaatschap van het Volksfront voor de bevrijding van Palestina PFLP, een seculier, extreem-linkse Palestijnse groepering, die vooral bekend is geworden door de vliegtuigkapingen in de jaren zeventig van de 20e eeuw. Ook Marwan Bargoeti is bepaald niet onschuldig. In 2004 veroordeelde een Israëlisch hof hem voor vijf moordaanslagen. Baker is weliswaar blij met het bereikte akkoord, maar ze houdt wel slag om haar arm. De herwonnen menselijke waardigheid zou volgens haar kunnen komen te vervallen wanneer Hamas, na Gilad Shalit, een andere Israëlische soldaat zou ontvoeren of het geweld tussen Palestijnen en Israëli's opnieuw gaat escaleren. Dat is wel heel erg vanuit één richting geredeneerd. Het schijnt of de Palestijnse partij steeds weer het slachtoffer is van Israël terwijl de Palestijnen zelf vaak als eerste ongeoorloofd geweld gebruiken. Nogmaals, zo'n advocate kan maar voor één partij kiezen. Maar een landelijk dagblad hoort dat niet te doen. Er is hier immers helemaal geen aandacht besteed aan de Israëlische invalshoek. Daarom is ook dit artikel een triest voorbeeld van slecht afgewogen journalistiek wat een onvolledig beeld geeft en de lezers misleidt. Afgelopen maandag was het volgens onze kalender Onafhankelijkheidsdag (in Israel vond die twee weken geleden plaats omdat de Joodse kalender afwijkt) oftewel 'Nakba dag'. Voor dat laatste is de laatste jaren steeds meer aandacht. De algemene teneur is dat de stichting van Israel ten koste is gegaan van de Palestijnen, en dat tot voor kort werd genegeerd vanwege de Holocaust. Een veelgehoord cliché in dat opzicht is dat de Palestijnen boeten voor onze zonden, en daarmee indirect ook het slachtoffer van de Holocaust zijn, of, anders gezegd, dat een groep vluchtelingen (de Joden) is vervangen door een andere, de Palestijnen. En vandaar is het dan nog maar een kleine stap naar het cliché dat de slachtoffers van toen de daders van nu zijn, en dat de Joden nu de Palestijnen aandoen wat henzelf is aangedaan. "In 1948 veroverde Israël zijn huidige territorium en verdreef ruim 760.000 Palestijnen. Hun aantal wordt nu geschat op circa 4,8 miljoen. De Palestijnen noemen de stichtingsdag van Israël dan ook nakba (ramp)." Het artikel is door allerlei nieuwssites overgenomen, waaronder POWned, RTL, De Telegraaf, Nu.nl, de Libelle en diverse regionale dagbladen. Het is niet de eerste keer dat ANP berichten gekleurd zijn, en ze worden, zo heb ik begrepen, doorgaans klakkeloos overgenomen door de media die een abonnement hebben op de nieuwsdienst van het ANP. In het vorige mediamissers onderzoek kwamen ook diverse gekleurde ANP berichten aan de orde. Ik heb hier eerder geschreven over de ware toedracht in 1947/1948, waarbij direct nadat de VN het delingsplan aannamen aanslagen op Joodse doelen werden gepleegd en er in het hele land rellen uitbraken. De Arabieren in Palestina evenals de Arabische staten hadden gewaarschuwd dat ze geen Joodse staat zouden accepteren en met oorlog gedreigd; dat dreigement kwam men nu na. Eerst was er een burgeroorlog, waarin de Arabieren aanvankelijk de overhand hadden en de 100.000 Joden in Jeruzalemdreigden om te komen van honger en dorst vanwege de illegale blokkade door de Arabieren (Vergelijk dat met de honderden vrachtwagens die dagelijks goederen naar Gaza brengen, terwijl dit desondanks een concentratiekamp wordt genoemd; een medisch konvooi op weg naar Jeruzalem werd bruut afgeslacht). Na de burgeroorlog vielen de Arabische staten aan een dag nadat Israel de onafhankelijkheid had uitgeroepen. Beide oorlogen werden uiteindelijk gewonnen door Israel, maar dat heeft daar een hoge prijs voor betaald. De Palestijnen zijn om verschillende redenen gevlucht. De meesten vluchtten simpelweg voor het oorlogsgeweld, uit angst, vanwege geruchten of daartoe opgeroepen door Arabische leiders. Het eerst vluchtten de notabelen, de elite en de rijkeren. Zij hadden vaak familie of een tweede huis in Amman of elders en konden makkelijk weg. Daardoor bleven de dorpelingen achter zonder leiders, wat hun moreel aantastte. Ondertussen deden geruchten de ronde over Joodse massaslachtingen in andere dorpen, die vaak enorm werden overdreven om de Palestijnen en Arabieren tot actie aan te zetten. Het resultaat was echter vaak juist omgekeerd: ze vluchtten. Ook riepen sommige Arabische leiders de Palestijnen op om te vertrekken. Zij zouden de zionisten spoedig verslaan en daarna konden de Palestijnen veilig terugkeren. Hoewel sommige Palestijnen (in bijvoorbeeld Ramle en Lod) daadwerkelijk werden verdreven, zijn de meeste Palestijnen gevlucht voordat zij een Israelische soldaat zagen. Over het aantal Palestijnen dat is gevlucht verschillen de bronnen. Volgens de Palestijnen waren het er meer dan 800.000, Israel houdt het op ruim 500.000. De VN gaat uit van zo'n 750.000 vluchtelingen, en historicus Benny Morris heeft het over ruim 700.000 vluchtelingen. 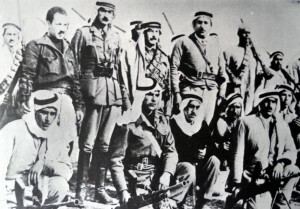 Nou begrijp ik wel dat het ANP deze geschiedenis niet uitgebreid kan of wil vermelden in een kort nieuwsberichtje dat vooral ging over de rellen op de zogenaamde Nakba dag, maar dat is geen reden om een totaal vertekend beeld te schetsen. Het ANP heeft het immers alleen over Israelische verdrijvingen en agressie, terwijl daar Arabische agressie en de poging de Joden te verdrijven aan vooraf ging. Bovendien zijn de meeste vluchtelingen niet met geweld verdreven zoals uit bovenstaande blijkt. Het mag een fabel zijn dat ze allemaal vrijwillig vertrokken omdat ze daartoe werden opgeroepen door de Arabische leiders, het is zeker ook een fabel dat zij allemaal at gunpoint werden verdreven door bloeddorstige Israelische soldaten die het land wilden 'zuiveren' van Arabieren. Men had op zijn minst even kunnen vermelden dat de Arabieren het delingsplan van de VN verwierpen, en tegen de wil van de internationale gemeenschap in een oorlog begonnen. Dat die uiteindelijk voor de Palestijnen catastrofaal eindigde, is triest voor hen, maar dit kun je zeker niet met een ramp vergelijken, daar het de gevolgen van hun eigen daden en bewuste keuzes betrof. Daarom is de term 'nakba' zo misleidend en zouden de media die consequent tussen aanhalingstekens moeten zetten. Ik heb ook zo'n vermoeden dat het niet geheel toevallig is dat zowel 'nakba' als 'shoah' ramp betekenen, en men bewust het verlies van 1948 met de Shoah op een lijn wil zetten. Zoals gezegd nemen de media tegenwoordig het Palestijnse narratief van de 'Nakba', van verdrijving en Israelisch geweld tegenover onschuldige Palestijnen, kritiekloos over, en dat past weer goed in het beeld dat de Palestijnen nu boeten voor de Holocaust en de slachtoffers van toen de daders van nu zijn geworden. Op deze mythe kom ik in een volgend artikel terug. We lijken nog steeds erg veel moeite te hebben om Joden als normale mensen te zien, die ook geweld gebruiken en arrogant kunnen zijn, maar bovenal bereid zijn te vechten voor hun zaak en overleven. Volgens een enquête onder bijna 25.000 inwoners van 22 landen vindt 50% dat Israel een negatieve invloed heeft. Daarmee deelt het de derde plaats met Noord-Korea. Iran en Pakistan scoren nog slechter, 51 en 52%. Rusland, China, Brazilië, India en Zuid-Afrika scoren allemaal beter, terwijl daar zo de nodige problemen en mensenrechtenschendingen voorkomen. Joodse invloed heeft nog steeds een slecht imago, al valt die in het niet bij veel andere landen. De slachtoffers van toen zijn niet de daders van nu geworden, maar kunnen zich tegenwoordig wel redelijk weren. Een goede aktie van Avaaz! Ik vind ze doorgaans nogal eenzijdig in dit conflict* (en in een aantal andere kwesties), dus dit valt me 100% mee van ze. Gezien hun achterban heeft deze petitie helaas nog relatief weinig ondertekeningen. Meer en betere argumenten waarom een boycot van Israel niet deugt vind je op onze website: Waarom draagt een boycot van Israël niet bij aan vrede? * Eenzijdig c.q. misleidend waren bijvoorbeeld hun aktie van de "Palestinian Freedom Riders" en de derde video hier: "Vrede in het Midden-Oosten - het ware verhaal"
On the 15th May 2012 Eamon Gilmore the Irish Minister for Foreign Affairs suggested he may seek a EU wide boycott of Israeli settlement goods. If Minister Gilmore wishes to seek a boycott of Israeli settlement goods,We seek a EU wide boycott of Moroccan goods made in occupied Western Sahara and Indonesian goods made in West Papua New Guinea. We urge the Minister not to seek a boycott of Israeli goods ,instead he should look to build bridges between various communities in the Middle East. Op het TV station van de gematigde Palestijnse Autoriteit van Machmoud Abbas zijn de volgende songs meermaals uitgezonden, zodat ook de jeugd wordt voorbereid op de noodzaak van verzoening en een territoriaal compromis met Israel. Het is mooi dat de PA zulke middelen inzet om ook de jeugd te bereiken, als tegenwicht tegen de propaganda van bijvoorbeeld Hamas, dat de Palestijnsen al van jongsaf bijbrengt dat alleen via strijd en het bloed van de martelaren de eer gered kan worden en Palestina bevrijd. Goed dus dat de door het Westen gesteunde PA daar een heel ander geluid tegenover zet. We will rise like the sun shining on dry grass." Fire is in my hands, and with you, attack the snake's head (Israel). with the rifle we will impose our new life." Fire is in my hands, and with you attack the snake's head (Israel)." Erkennen de Palestijnen Israel nou of niet? Volgens Israel critici hebben ze dit al lang gedaan, waarbij wordt verwezen naar het hieronder genoemde plan uit 1974, naar uitspraken van Arafat in 1988 en het feit dat hij toen resolutie 242 accepteerde, en naar de brief van Arafat aan Rabin in 1993. Maar als je die zaken allemaal preciezer bekijkt, blijkt de taal die men gebruikt op zijn best dubbelzinnig. Men vindt tegelijkertijd dat alle vluchtelingen moeten kunnen terugkeren – nu of later – en men vindt dat Israel geen Joodse staat mag zijn want dat is racistisch. De Wet op de Terugkeer die bepaalt dat alle Joden naar Israel kunnen emigreren en het Israelisch staatsburgerschap krijgen, zou moeten verdwijnen, de vlag, de verwijzing in het volkslied naar de Joodse ziel etc. En men ontkent het feit dat Joden een volk zijn met nationale rechten. De geschiedenis van de Joden in het gebied wordt ontkend, zij zouden in Jeruzalem bijvoorbeeld niks te zoeken hebben en de Joodse tempel daar zou een verzinsel zijn. In Palestijnse media wordt het hele land als ‘Palestina’ aangeduid en als ‘tijdelijk bezet gebied’ gezien, dat ooit weer bevrijd zal worden. Dit geldt allemaal niet alleen voor Hamas maar juist ook voor de ‘gematigde’ Palestijnse Autoriteit onder leiding van Abbas, voor de PLO en voor Fatah. In het handvest van de PLO wordt nog steeds opgeroepen tot het elimineren van het zionisme en tot de gewapende strijd totdat heel Palestina bevrijd is, en ondanks beloften daartoe zijn die passages nooit daadwerkelijk verwijderd of ongeldig verklaard. In London, Said Hammami, the PLO's representative there, said in an interview today in the Observer that the Palestine National Council when it meets in Cairo March 12 cannot amend the charter because it represents ideology rather than a practical program. However, he said the PLO is ready to accept two states in Palestine "because since 1948 there has been a new factor, the Israeli people, not the Jewish people." But he said that Israel cannot survive in the long run as a Jewish State but will eventually become a Hebrew-speaking corner of the Arab world. Hammami listed three points that comprise the PLO policy: a demand for complete withdrawal of Israel from occupied territory; that the West Bank and the Gaza Strip be handed over to the Palestinians to form an independent state under the PLO with the option later of deciding whether it wanted to join with Jordan and/or Syria; and the recognition of the right of all Palestinians to return to their homes, although this right might not be exercised "for a number of years." Over the past 35 years Israel has changed its position drastically towards concessions to the PLO - and the PLO has not changed its position one iota towards peace with Israel. It still considers Israel a temporary anomaly; it still rejects the idea of a Jewish state or of "two states for two peoples;" it still insists on the "right" to have millions of Arabs immigrate to Israel to destroy it demographically. The only difference is that 35 years ago they were explicit about their ultimate goal of using the territories as a stage in the ultimate destruction of Israel, and after Oslo they pretend that they really want peace. Yet in Arabic they are still quite clear, and their people know it. And in the 35 years of Israel giving up land, making unilateral concessions and accepting the concept of two states, it has not moderated the Arabs one tiny bit from their hard-line position of 1977 - which is in fact identical to the infamous 1974 Phased Plan for the destruction of Israel, piece by piece. Nog één keertje Vorden en de dodenherdenking. Niet omdat Vorden (een leuk dorp, pas nog prachtig gewandeld) mij in het bijzonder zoveel kan schelen, maar omdat de zaak wel wat wordt verdraaid door sommige betrokkenen en ook omdat de bekende verwijten aan de Joodse gemeenschap, als dat zij het alleenrecht op herdenken etc. opeisen, weer de kop op steken. Antisemitisme is helaas nooit ver weg. Eerst even over dat laatste. Chris van der Heijden verwoordde dit een paar dagen geleden ook al in Een Vandaag, waar hij het had over het monopolie dat Joodse organisaties claimen wat betreft de oorlog, en dat op steeds meer verzet stuit. Ik kwam het vandaag ook weer op internet tegen. Precies Ko, ook mij irriteert de houding van de Joden mateloos, afijn, ze hebben in deze weer hun zin gekregen. Ze hebben (m.i.) een beetje hier in ons land, teveel een vinger in de pap. Ik heb al eerder geschreven dat ik vind dat de Joden te veel credits opeisen. Maar dat mag natuurlijk niet hardop gezegd worden. Dan wijs ik naar hun gedrag tegenover de Palestijnen. En ons eigen land weet je hoe ik altijd over Cohen heb gedacht. Er mag zoveel niet hardop gezegd worden, maar daarom doen we het wel. Gretta Duisenburg werd ook verguisd omdat ze een uitgesproken standpunt over de Joodse bezetting van Palestijnse gebieden had, ik kon me ook wel in haar standpunt vinden. Veel Joden zijn in de oorlog op een beestachtige manier afgeslacht maar er waren er ook die het op een akkoordje gooiden met de vijand. Daar lees je zelden iets over. Natuurlijk waren de "foute" Joden mensen met veel invloed en macht. Jan Modaal werd naar de vernietigingskampen getransporteerd. "Ik vind het logisch maar ook jammer dat vooral Joden protesteren wanneer de herdenking wel erg ver wordt opgerekt. Zij waren immers het meest extreem slachtoffer van de nazi's. Overigens kwamen de protesten zeker niet alleen van Joden, en organisaties als TOF en FJN zijn klein en ook binnen Joodse kringen relatief onbekend en niet onomstreden. Hun acties waren inderdaad provocerend. Het is zonder meer waar dat ook Wehrmacht soldaten en SSers een moeder hebben maar dat is toch hopelijk niet het criterium om hun ook te herdenken? Die Wehrmacht soldaten die in Vorden begraven liggen hielden hier de Duitse bezetting in stand, waaronder velen zwaar hebben geleden, en zo jong waren ze ook niet meer. Sommigen waren al rond de dertig, aan de geboortejaartallen op de graven te zien. Waarom sommige mensen tot een foute en andere tot een goede keuze komen, en sommigen in het verzet gaan en anderen doen wat ze verteld wordt, is een interessante vraag en discussie. Wij Nederlanders waren zeker ook niet allemaal zo nobel. Maar als daarom SSers en Wehrmachtsoldaten voortaan ook herdacht moeten worden, dan kunnen we de herdenking wat mij betreft inderdaad beter afschaffen." Niet alleen Ko van Dijk, ook de burgemeester van Vorden en de voorzitter van het vier- en vijf mei comité kwamen met het argument op de proppen dat het om jonge jongens ging die niet anders konden, en daarom eigenlijk zelf slachtoffer waren. Zoals eerder gezegd weten we dat niet, ik heb niks vernomen waaruit blijkt dat deze mannen tegen hun wil bij de Wehrmacht zaten of wat zij daar wel of niet hebben gedaan. Wat we wel weten is dat het niet allemaal jonge jongens waren; sommigen waren ouder dan 30 jaar. Ook bleek tijdens de reportage op Nieuwsuur gisteren dat meneer Hartelman van het vier mei comité bijzonder weinig wist over de soldaten. Hoeveel geallieerde vliegtuigen zouden ze hebben neergehaald, hoeveel verzetsmensen doodgeschoten of opgespoord, hoeveel mensen die stiekem aardappelen vervoerden of bonnen of verzetskrantjes op fietsen met houten banden aangehouden? Misschien wel geen, omdat ze daar niet achter stonden en expres mis schoten en de eenzame fietser 'over het hoofd' zagen. Maar die kans is klein; de meeste Wehrmacht soldaten saboteerden de boel niet maar deden hun werk onder het motto 'Befehl ist Befehl'. Vandaar dat de Duitse bezetting zo goed verliep, van hun uit gezien. De nieuwe Wehrmacht, opgericht op 16 maart 1935 was een dienstplichtleger en zou initieel worden opgebouwd rond 36 divisies en 12 legerkorpsen. De Wehrmacht bestond uit de Heer (landmacht), Luftwaffe (luchtmacht) en de Kriegsmarine (zeemacht). In de praktijk functioneerde ook de Waffen-SS, officieel de militaire tak van de SS, als een onderdeel van de Wehrmacht. Deze troepen werden vaak ingezet als elite-eenheden. De foto's hielpen zo om een mythe over de Wehrmacht te doorbreken, vertelt Bopp. "Er bestond in Duitsland heel lang het idee dat de oorlogsmisdaden uitsluitend door de SS waren gepleegd, terwijl opa, die vaak in de Wehrmacht had gediend, daar helemaal niets mee te maken had gehad. Deze foto's lieten zien dat je dat onderscheid niet zo sterk kan maken. Ook het leger maakte zich natuurlijk schuldig aan van alles en nog wat." "De twee minuten stilte verliepen als gewoonlijk, net als het volkslied. De man die het woord had en de leiding over de ceremonie hield, gaf aanwezigen vervolgens de keus om niet langs de graven van Duitse soldaten te wandelen als eerbetoon, of om hem te volgen om dit wel te doen. Bijna alle van de aanwezigen volgden hem vervolgens, ongeveer een paarhonderd man. Er werden door enkele passanten bloemen op de grafstenen gelegd." Bloemen, dat lijkt erg veel op een eerbetoon. Aanvankelijk zou er ook een lied worden gezongen door het Vordense mannenkoor, maar dat ging niet door. Aalderink is boos over de uitkomst van het kort geding en ergerde zich ook aan het vliegtuigje dat boven Vorden vloog met de tekst: 'Vorden is fout' van de verder onbekende organisatie TOF. Hij zei in een persconferentie het er niet bij te willen laten zitten. Ondertussen is er onder de mensen die tegen het herdenken van Duitse soldaten waren onbegrip over het onbegrip van de burgemeester. Waarom is hij zo ongevoelig voor de argumenten van de andere kant, en houdt hij vast aan fabeltjes over onschuldige Wehrmachtsoldaten van 18? Waarom zo ongevoelig voor het feit dat dit bijzonder kwetsend is voor slachtoffers en hun nabestaanden? Mijn theorie is dat de heer Aalderink zich in zijn eer aangetast voelt. Hij kan in zijn eigen Vorden blijkbaar niet meer gewoon doen wat hij wil en wat binnen de lokale gemeenschap geen probleem is. Ik kan mij daar wel iets bij voorstellen, maar vindt de burgemeester ook wat naïef. Discussies over wie en wat en hoe te herdenken zijn bepaald niet nieuw. En het verschil tussen een Wehrmacht soldaat en een nazi-soldaat is, laten we zeggen, nogal subtiel. Het zou de burgervader van Vorden sieren als hij ook over de gemeentegrenzen heen kan kijken en dan niet alleen richting de Oosterburen waarmee hij zo graag verbroedert, maar ook richting slachtoffers en mensen voor wie dit (nog) een paar bruggen te ver is.